This is one of only a handful of tables on the market today that are manufactured specifically to withstand the elements. The major perk of this is being able to take it outside wherever you go. Most of the time this means this model is purchased for civic or commercial uses such as at parks, bars, tailgate events, churches or even simply inside your gazebo outside. This one has some great components like a sturdy table design with European-style legs and adjustable levelers. If you want a solid table that can resist rusting and warping, this might just be the right model for you. 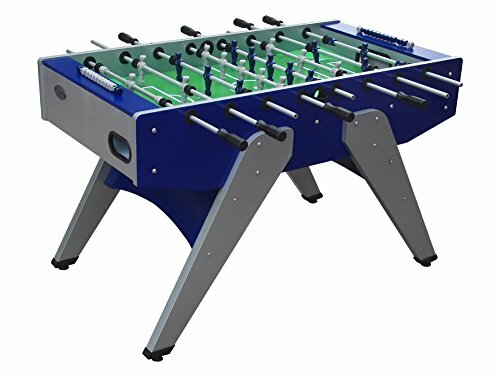 We suggest taking a look at all of the other outdoor foosball table models we have reviewed as well. This table is rated at 4 out of 5 stars. This table is priced at about $1,700 US.